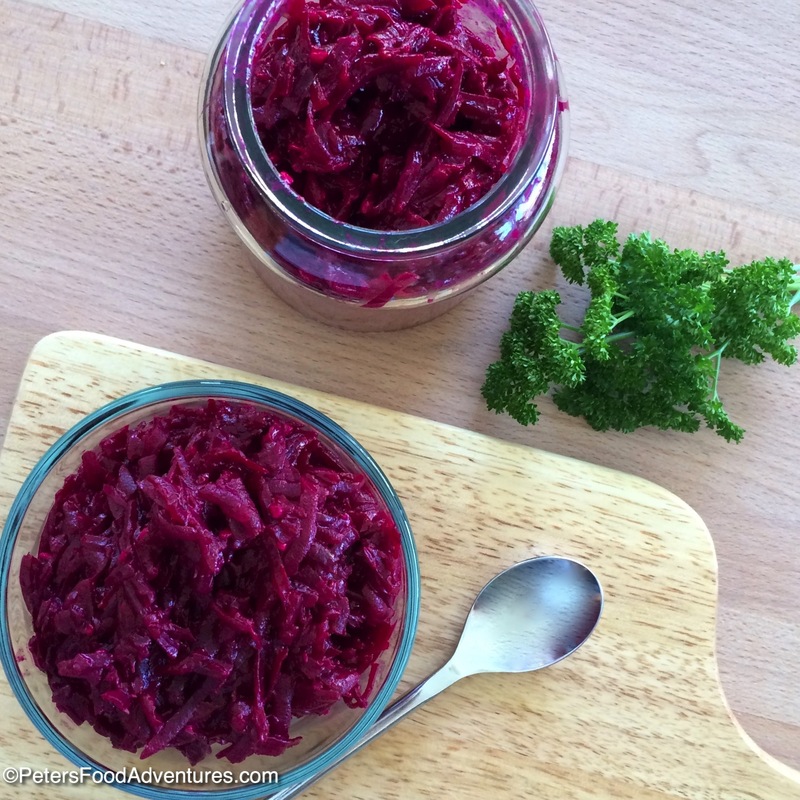 Hren Horseradish and Beets (Хрен со свеклой) is a tasty Russian condiment. ‘Hren’ is also how you say horseradish in Russian. Kind of confusing but I suppose nobody would eat just the horseradish root on its own. 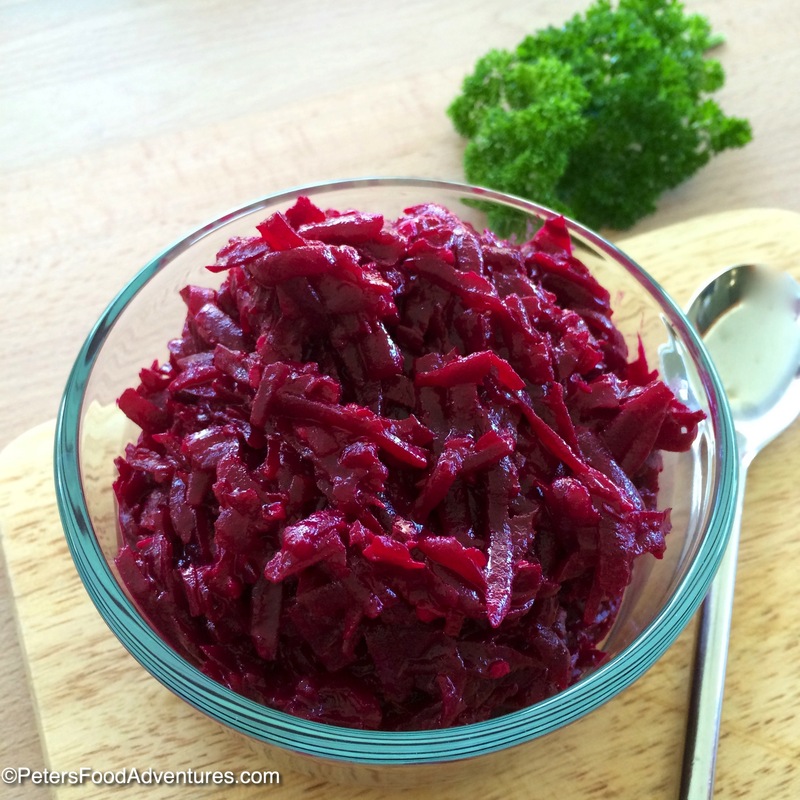 As a condiment, its mixed with grated beets, and eaten with a variety of meats. Horseradish is a plant that is related to the mustard family, with a long white tapered root. The root itself doesn’t have a smell, but when you crush or grate it, it releases a pungent smell that burns your eyes and sinuses. Think wasabi, same kind of thing! Store bought horseradish is called Prepared Horseradish. That’s what I’ll be using for my recipe. It’s incredibly uncomfortable to grate horseradish, causing your eyes to burn, some people even would wear a mask so they don’t inhale the horseradish! Too hard basket, its quick and easy to buy a jar, although you will get a better flavour from real horseradish root. Just don’t underestimate the power of real horseradish root! Sometimes you can find extra hot prepared horseradish, but the version here in Australia is quite mild, and I end up mixing in the entire jar with the beets. I like to eat Hren with steak, prime rib or with European Smoked Sausage. My other favourite steak condiment is Argentinian Chimichurri, but that’s another post. Canned Hren is available at any European grocer, but not as nice as fresh homemade hren. 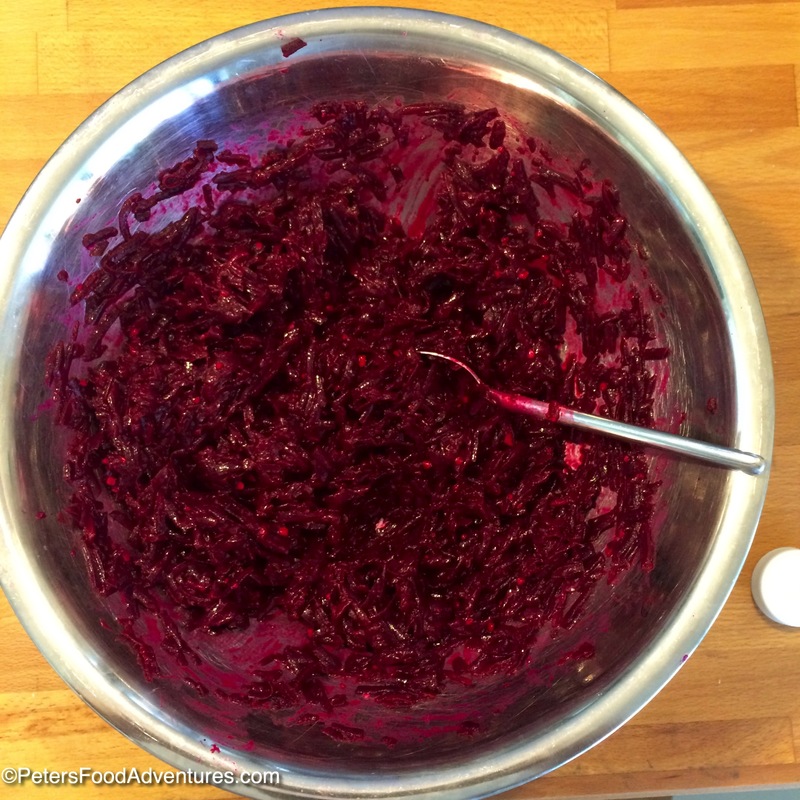 Beet and Horseradish are perfect together! Now you know how to make hren, a condiment with a wasabi-ish kick. Bon Appetit! Приятного аппетита! 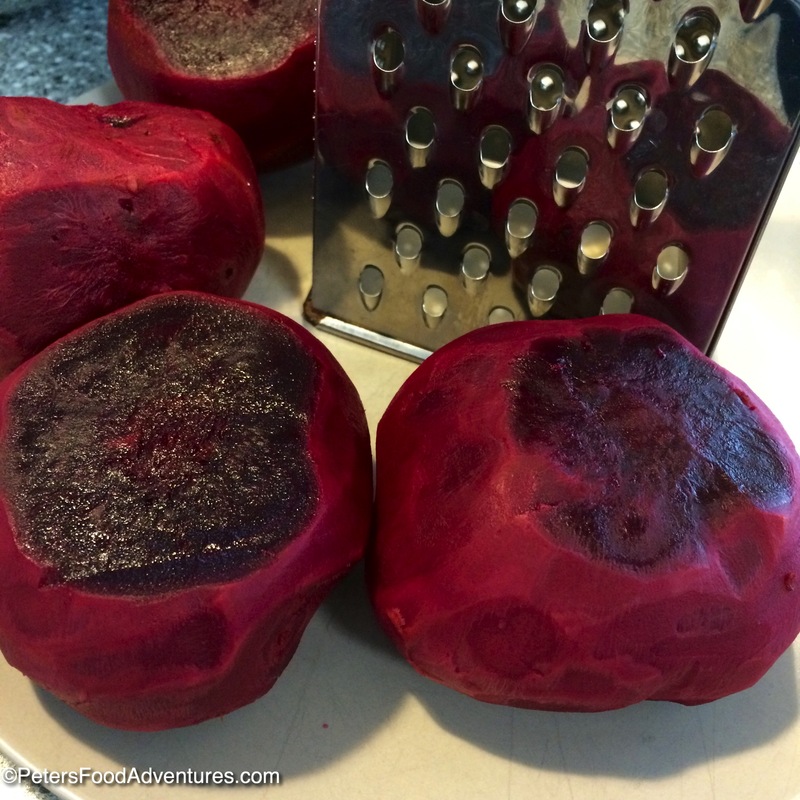 Put peeled beets in a saucepan, with 1 teaspoon of salt and 1 tablespoon of vinegar. 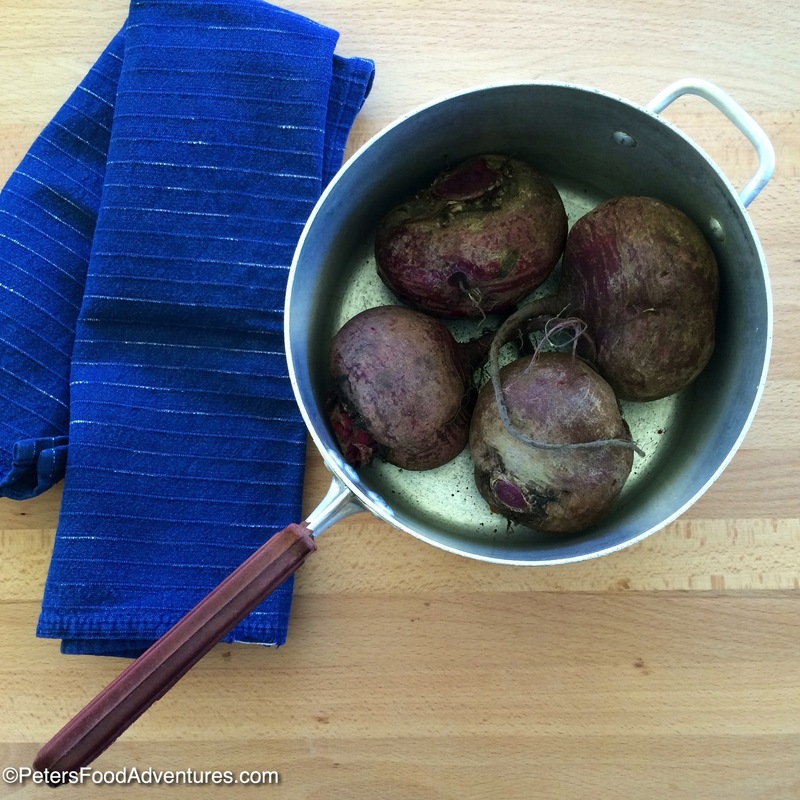 Bring to a boil and cook for about 35-45 minutes until tender (can take longer for larger beets). Don't overcook the beets, they must be tender but firm. 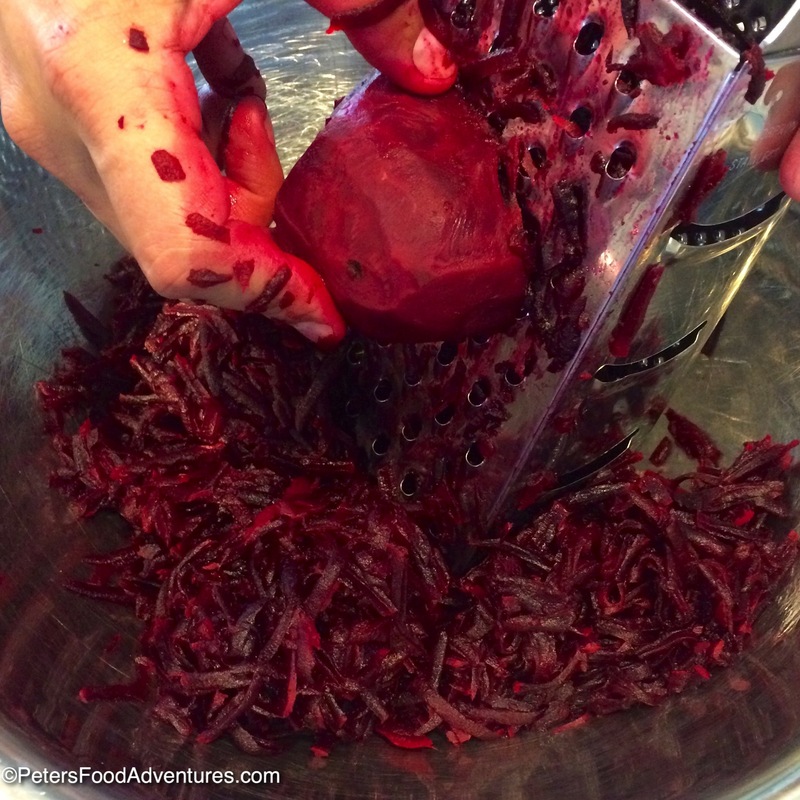 Drain and run cold water over beets and allow to cool. Add 1/2 horseradish and combine together. Add the salt and vinegar. Taste and adjust horseradish if necessary. Put in a clean sterilised jar and keep refrigerated. Best if you allow flavours to infuse overnight before eating. Keep refrigerated. Enjoy! Wow this looks really interesting! Thanks for sharing something so unique! sure! lovely pictures so colorful! nice to see something interesting! I mean your cooking is always unique Peter! I’ve heard of it eaten with fish, but have never tried it. But I do love it with steak! 🙂 and apparently its also tasty with aspic, but that scares me! I have some childhood horror memories with aspic and head cheese! I will get my mum’s recipe here, maybe I might enjoy it as an adult, and controlling the ingredient list! I also grew up with this. My sister used to grate the horseradish outside wearing a gas mask. We also ate it with meat and or fish. I consider it Eastern European mustard. Thank you! Haha! yup, the gas mask! I cheated using the prepared horseradish, but its really not the same as the real stuff! Thanks for sharing, made me chuckle!